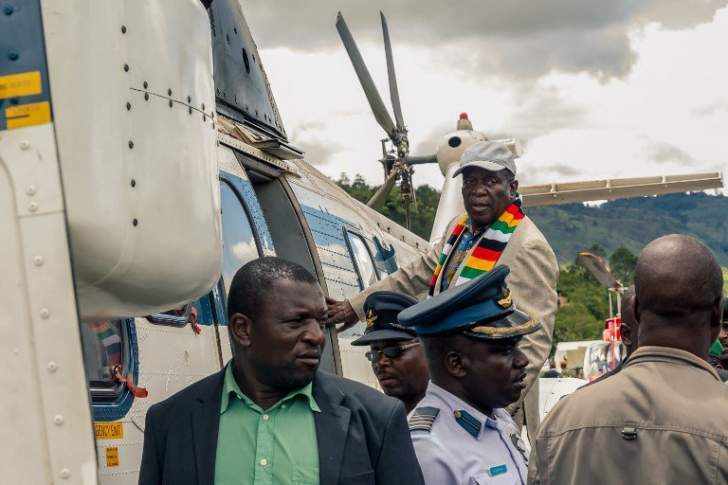 President Mnangagwa has declared Saturday and Sunday as national mourning days in memory of those who perished due to Cyclone Idai that left a trail of destruction in Chimanimani and Chipinge last week. President Mnanangwa made the announcement last night at State House. He was giving an update on the disaster. President Mnangagwa implored the nation to spare a thought for those still grieving. "We expect all our citizens, both individually and collectively, and indifferent ways which are informed by their faith, beliefs and cultures, to remember all our dearly departed by way of prayers and in whatever other forms and practices," he said. President Mnangagwa paid tribute to Zimbabweans including different arms of Government, uniformed services and co-operating partners as well as foreign governments who provided assistance. President Mnangagwa, who visited the affected areas Wednesday, said the Government would continue to work with Mozambique - also a victim of the cyclone to ensure "as many remains of our people as possible are recovered and brought back home for decent burials. "As we know, we have lost many citizens with the human toll likely to reach several hundreds. I came face to face with the horrific accounts of many who continue to grieve the loss of loved ones and are living in the hope of the recovery of their remains." "In Rusitu, I saw with unmitigated despair, big boulders recklessly strewn on what used to be a settlement, a banana market and even a police post. In respect of the latter, both the serving officer and prisoners were washed away, alongside other government structures and private residences. "The settlement was completely washed away and the remains of the occupants unaccounted for to this day." President Mnangagwa outlined a cocktail of measures in response to damages suffered. The Government, he said, would intensify the search for all persons still missing from the cyclone disaster and recover and decently bury remains which are still outstanding. "Ensure adequate food relief to affected families and communities between now and the next harvest, provide free medical services to all those affected by the cyclone," said President Mnagagwa. President Mnangagwa said Government would create safety nets and recovery programmes for the poor and vulnerable in the affected communities to help them recover and escape the poverty ratchet effect. He said Government would relocate settlements to safer areas. "Through Government sponsored programmes support the rebuilding of stronger and more durable structures of shelter for our rural communities starting with families in susceptible areas," he said. "Our whole approach to build environments just has to change in light of experience of this deadly cyclone." "In all these measures, Government will proceed by way of broad consultations at all levels and with all citizens to ensure there is consensus," he said. "For when all is said and done, a good disaster plan is one that enlists the support and involvement of communities."